I really can’t work out what to do with this photo. This is Deepwater Point jetty which is just down the road from me. I really love this spot as I learnt to sail here, and spent a lot of my youth here. I love the fact that the jetty is dark, I love the way the water looks, but I can’t decide what to do with the sky and its really bugging me. I think if I can get the sky right then I’ve got a great photo on my hands. Any suggestions? Nice image Jamie, I recon a bit of contrast in the sky would bring out more of the detail of the clouds and make the slyline stand out more. Ohhh how embaressing they are almost exactly the same. I do like the sky in your much better though. Ok I’ll mucking around with the contrast first. Thanks Dave! Lol. What a classic mixup. Thanks for the suggestions Dave, I’ll check it out in detail. Did you capture anything good this week? nice image , have you seen j Knight Smith gallery there is a image of the como peir http://jknightsmith.com/gallery/ I think image 5 , with high contrast on the jetty and light water and sky which I think would look great on this image . 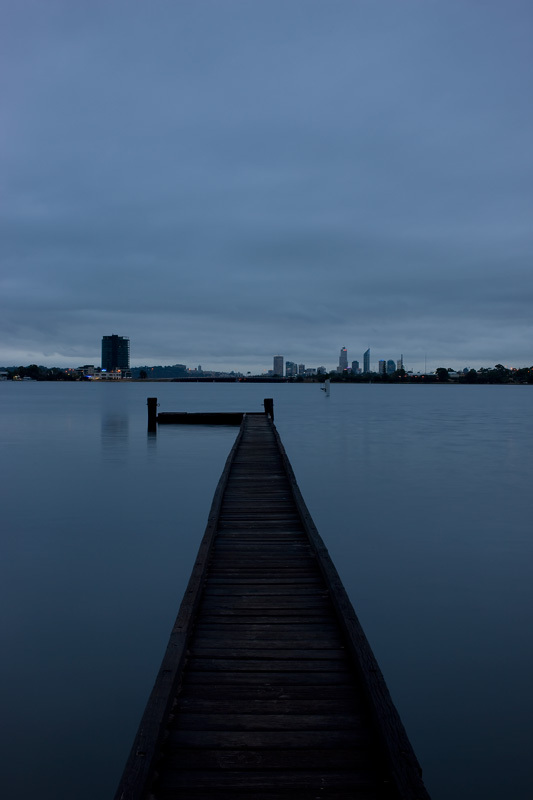 I understand what you are saying about the jetty and the water, those do have atmosphere but I think the sky and city actually detract from those parts of the image. I think if you like the jetty / water shoot it again with just those 2 elements or if size is not a concern crop them about and I think you’ll find you may have a nice abstract kind of image with just the water and jetty. Just what I see with my 2 cent judgment. Less is more kind of aspect. If I spelt the link correctly it might work. I fixed it. I love the simplicity of Mike’s shots. Awesome. Thanks for the heads up. Hi Kirk that image 5 is pretty cool. I’ve done one from a 45 degree angle which I think I prefer. I’ll try and find it and post it on here. Thanks for that I appreciate it. Did you get any good shots this weekend? Haven’t gone out yet. I’m waiting for th rain to come through this week so I can get some nice clouds lurking around. Yeah I can’t wait. The past couple of days have been a little boring. Bring on the clouds.